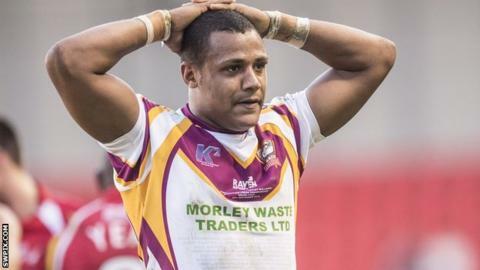 Batley Bulldogs players Jonny Campbell and Ayden Faal have had their bans for breaching the sport's rules relating to betting reduced on appeal. Winger Campbell, 26, has had his ban reduced from 12 months to nine while centre Faal, also 26, will now serve a four-month rather than a six-month ban. Campbell was banned for betting on a number of games, including the Grand Final with Sheffield that he played in. Faal did not play in that final but was banned for placing a bet on the game.